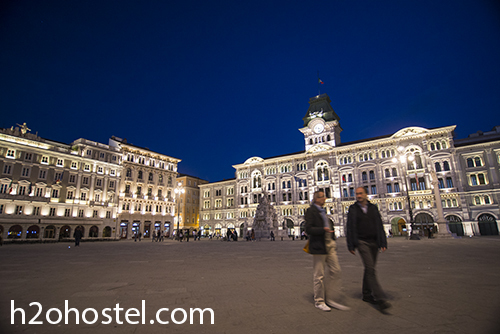 One thing is certain, Slovenians have a special sentiment for Trieste, or should I say Trst as we call it. 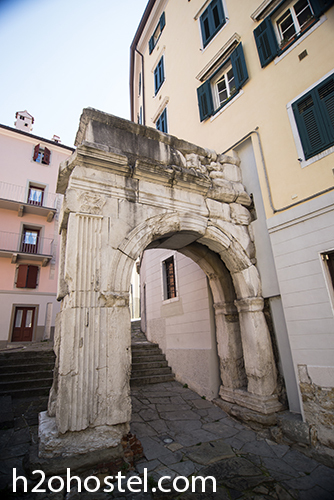 The City on the Adriatic seaside, no more than a few kilometers from the Italian / Slovenian border, has a turbulent past which carries through to today in its architecture and its people. 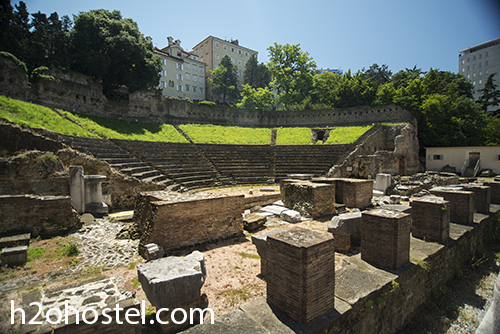 Latin, German and Slavic cultures have all defined Trieste. 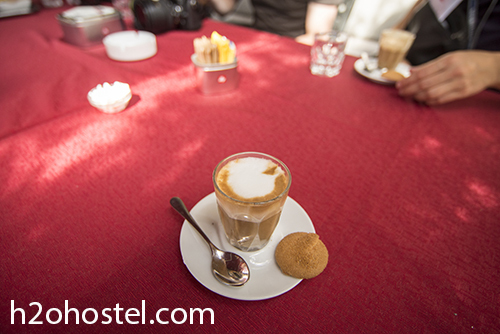 Italians are known for great wines, delicious food and excellent coffee. All that works, quite tasty, in Trieste. North of the city the Karst plateau, Kras in Slovene, Carso in Italian, rises covered with vineyards and is the home of many food specialties widely used in Trieste and cherished around the world. 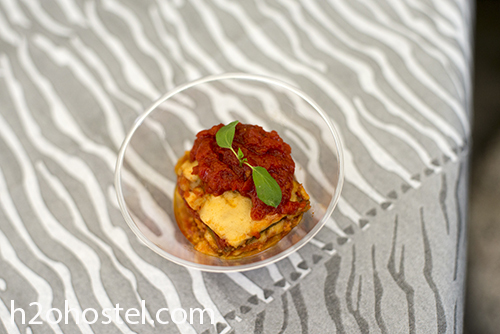 A major part of Triestini cuisine is also its rich sea food, and this variety of food is combined with well-known traditional Italian pastas of all sorts, cheeses, tomatoes, garlic, olive oil, etc. And let us not forget, coffee is a big part of local life, after all, the world’s beloved Illy comes from here. 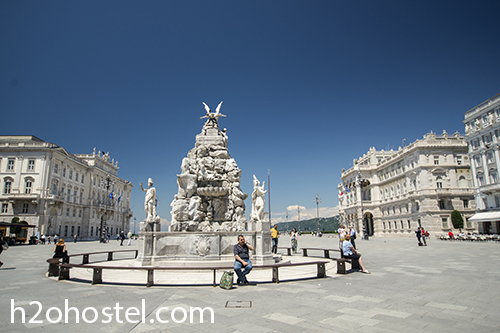 and Piazza Unità d’Italia (Italian Unity Square), the main town square, which is often said to be Europe’s largest seaside square. 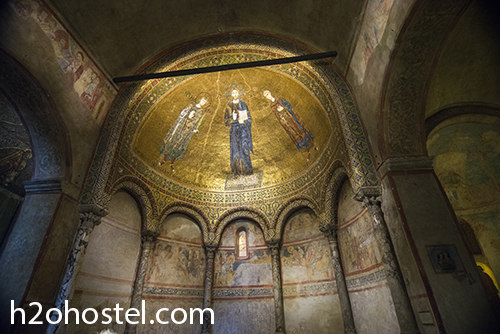 Above stretches the hill bearing the castle of San Giusto, a summer venue for many cultural events, and The St. Justus Cathedral with beautiful mosaics. 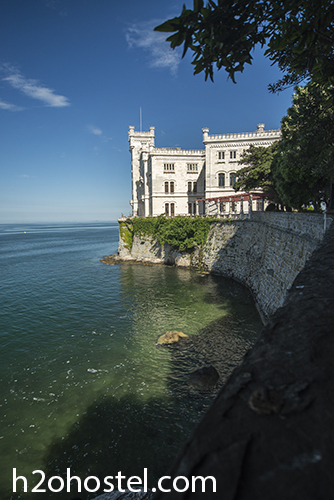 A few kilometers west is a must see – Miramare castle, a residency built in the 1850s for archduke Ferdinand Maximilian, later known as Maximilian I of Mexico. 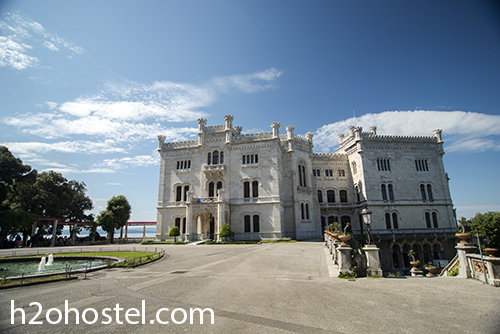 Its beautifully interior is well preserved and spectacular gardens there are washed by the deep blue Adriatic. This entry was posted in H2ostel Blog, Travel tips and tagged Brez Meja, Ljubljana, No Borders, Senza Confini, Trieste, Trst. Bookmark the permalink.